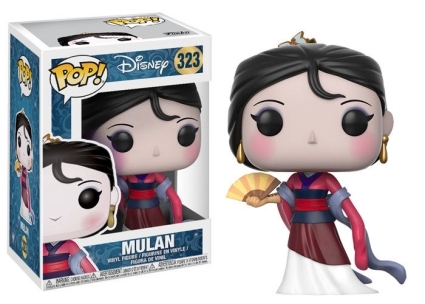 The Funko Pop Mulan set celebrates a truly unique Disney princess. Based on the character Hua Mulan from a Chinese ballad, 1998's Mulan broke tradition as it was the first time a princess saved the prince. The Pop! figure for Mulan, whose hair falls just below her jaw, is dressed in a lengthy, layered dress. The female warrior also holds a silver, curvy sword pointed downward with both hands. 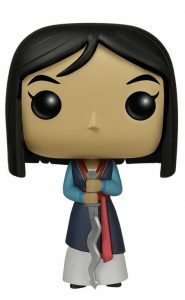 Shop for Funko Mulan Figures on Amazon. In contrast to the somewhat bland appearance of Mulan, her closest friend, Mushu, is presented in vivid orange. The dragon, voiced by Eddie Murphy, rests on his back legs, revealing his lighter underbelly, which perfectly matches his Fu Manchu mustache. 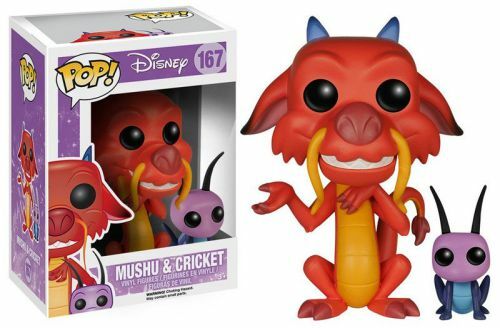 As the two are inseparable, Mushu also comes with Cricket (Cri-Kee). 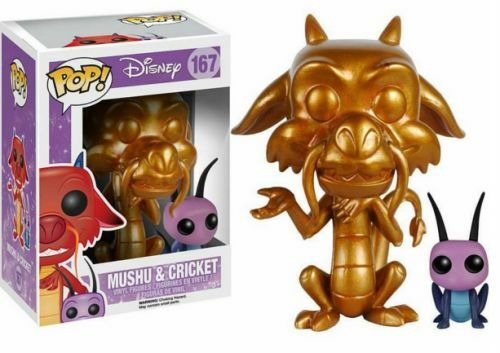 Additionally, Tom's Model issued a Mushu gold and Cricket variant. 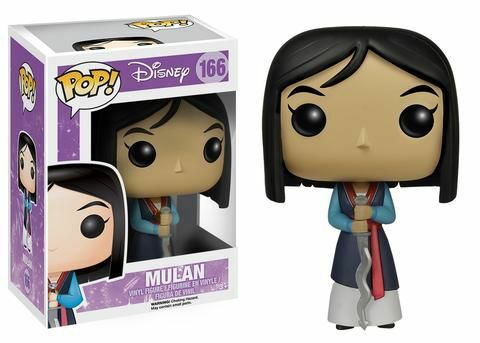 Naturally, Funko Pop Mulan is numbered as part of the Pop! Disney family, with each figure standing nearly 4" tall. The exception is Cricket, who is obviously much shorter. Fans and collectors wanting to try their luck (Cricket not needed!) 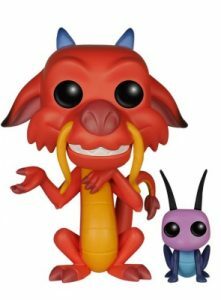 can find Mulan and Mushu in the Funko Disney Princesses Mystery Minis set, while the Funko Disney Villains Mystery Minis release includes Hayabusa the Falcon and Shan Yu. Funko Pop! KEYCHAINS, Vaulted Disney's POCAHONTAS, MULAN & JASMINE! NIB!